Editor's Note: As the Indian Republic turns 70, Tufail Ahmad undertakes a journey through the country to examine the working of democracy at the grassroots level. Inspired by the French author Alexis de Tocqueville, who toured America and wrote Democracy in America, the author—a former BBC journalist and now senior fellow at the Washington-based Middle East Media Research Institute—will examine how sociological realities of India and the promise of democracy interact with each other in shaping the lives of the Indian citizen. This report is the sixteenth piece in a series called "Democracy in India". Nagpur: The principle of pluralism is intrinsic to democracies and the Indian way of life. So, democracies, despite being the governments of the majority, protect minorities, pluralism and co-existence. Nagpur is the headquarters of the Rashtriya Swayamsevak Sangh (RSS), which claims to defend the Indian way of life. 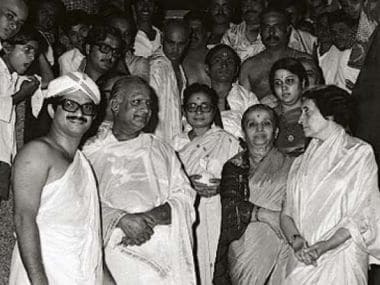 I decided to examine if the principle of pluralism which the RSS and likeminded Hindu groups speak of is the same which democracies espouse of. Pluralism also implies equality. When I was travelling through Gujarat, I noticed that contrary to the principle of pluralism, the Bharatiya Janata Party (BJP), the political arm of RSS, has pursued a policy of systematic exclusion of Muslims from the country’s political mainstream. Part 11 of this series on the workings of democracy in India examined how the BJP, led by then chief minister Narendra Modi, ensured that Muslims were not given party tickets to contest elections in Gujarat, projecting itself as a party of Hindus. The BJP continued this exclusion of Muslims during the Assembly elections of Uttar Pradesh and Karnataka respectively in 2017 and 2018. According to Pachpore, the MRM organises Iftar parties, is developing a project to celebrate the role of Muslim icons in the 1857 war, holds Eid Milan programmes, has set up a trust in the name of freedom fighter Ashfaqullah Khan and, among other such initiatives, is piloting a non-governmental pension scheme for Muslim women divorced through instant triple talaq in the towns of Varanasi, Lucknow, Jaipur, Ranchi, Nashik and others. “Muslims of India are originally locals. They shouldn’t accept themselves as a minority,” Pachpore said. Some of MRM’s events include Raksha Bandhan where Hindu girls tie rakhi on the hands of Muslim brothers, while Muslim girls do the same with Hindu brothers. “We encourage Muslims to plant rehan (tulsi). Under MRM, about five lakh Muslim homes have planted rehan,” Pachpore said. He pointed out that the Quran mentions the benefits of rehan. “You people in RSS read the Quran more than common Muslims do,” I reacted. Pachpore smiled. The reference to rehan is found in the Quranic verses 56:89, 55:12 and perhaps some more. The events organised by MRM begin with the recitation of Quranic verses. Whenever I meet RSS workers, their humility, as a norm, defeats me. Pachpore’s honesty can be disarming. “I had my own bias against Muslims, but when I came in contact with Muslims (it changed). When my wife had fallen sick, one Muslim offered prayers for her in Kaaba,” he told me. 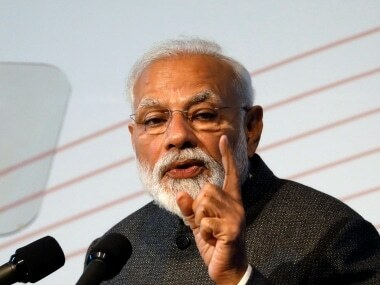 He also said: “It is the responsibility of Muslims to present a humanist view of Islam.” Under MRM, over a million Muslims have signed a petition for a law against cow slaughter. The MRM began in 2002. At present, there are more than 200 active Muslim leaders in MRM. Its motto is: Aadhi roti khayenge, bachchon ko padhayenge (We will eat half a bread, but will educate our children). As an organisation, it is present in 285 districts, Pachpore said. I have no doubt that even if there is one Muslim working in 285 district units of MRM, this outreach by RSS will engender a distinct intellectual movement among Indian Muslims in the coming decades. In free societies, this is how social change should be introduced. 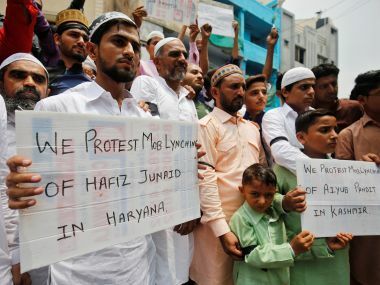 The fundamental question remains: If the RSS does believe in co-existence and pluralism, how do you explain anti-Muslim prejudice that is being propagated by many Hindu groups such as Bajrang Dal and activists who belong to the same ecosystem of ideas? Especially, how can the RSS explain BJP’s considered policy of near-total exclusion of Muslims from the country’s political life? Exclusion is singling out of an entire community, a first step towards prejudice, discrimination and hatred. Exclusion is counter-pluralism and counter-equality. On Twitter, youth ask me: Why should BJP field Muslims? The counter is: Why should Muslims vote BJP? 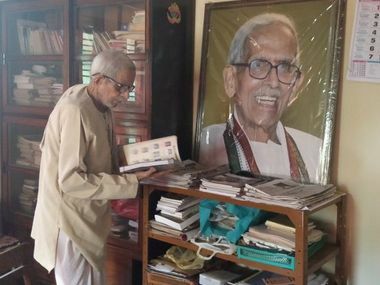 On 5 July, I sat down with MG Vaidya, a former spokesman of RSS, at his home in Nagpur. 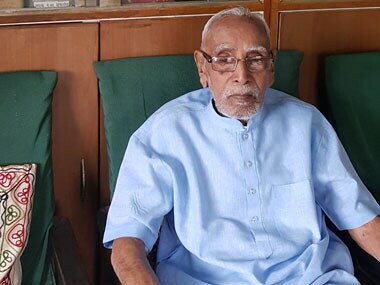 At 95 years of age, he is older than the RSS. I pointed out that BJP is excluding Muslims as a matter of deliberate policy. Vaidya was unable to accept it because his view of Hinduism doesn’t exclude Muslims. He asked, “Koi (Muslim) minister nahi (Is there no Muslim minister in BJP governments)?” I explained that symbolically some Muslims were given ministership, but as a matter of policy, BJP has not given tickets to Muslims in recent Assembly elections. And none of its MPs and MLAs are Muslims. If RSS truly represents this pluralistic view of India, BJP’s exclusion of Muslims is a political phenomenon that will need explaining and countering by RSS itself. Or, it may metamorphose into racism against Muslims and give birth to a far-right in India in long term. In Vadodara, on 4 May this year, I met Gunvant Shah, a renowned Gujarati writer and author of 35 books. He had just returned from a meeting in New Delhi which was chaired by Modi to plan Mahatma Gandhi’s 150th birth anniversary celebrations. I raised the question of Modi-led BJP’s exclusion of Muslims in Gujarat and outside. Shah said he has criticised this policy of political exclusion of Muslims and the use of animus-filled slogans like “Congress-mukt Bharat” and “Ahmed Miyan Patel” by Modi – the term “Miyan” being used as a pejorative for Muslims, in this case for Ahmed Patel, Gujarat’s prominent Muslim leader. “Congress prepared the ground for democracy. Otherwise, Modi would not have won,” Shah said. Exclusion is counter-integration. The RSS and BJP, and many Hindu groups accuse Muslims of separatism from the country’s mainstream, telling them to integrate. Muslims are pressed by them to join the mainstream. But what BJP is doing is counter-integration, preventing Muslims from joining the mainstream. This is a situation where the principle of pluralism — basic to democracies — is threatened by BJP. In Gujarat, the BJP government has also expanded the scope of the Congress-era Disturbed Areas Act, preventing Muslims from buying property in Hindu areas and vice versa — a point discussed in Part 12 of this series on Indian democracy. Also, the very idea that a single organisation, in this case, the RSS, claims to represent all the plural identities of India is counter-pluralistic and therefore counter-democratic. Effectively, it means that the RSS is the new Church, in the European meaning of the ruling authority, and the RSS chief Mohan Bhagwat is, therefore, the new Pope. In this sense, even the term Hinduism in singular number is counter-pluralistic, even if Hindu groups do not realise. Perhaps, Hinduisms could be more accurate. It’s a damage caused by the birth of “nation” in Europe and its spread into India’s discourse. When I was leaving Pachpore’s office after the interview in Nagpur, he said that MRM is making small efforts and hopefully Muslims will “assimilate” in the long run. In sociology, there are two concepts: assimilation and acculturation. Assimilation means the absorption of an entire group of people into another group’s way of life. In this process, usually a minority group assimilates into the majority’s way of life, losing its identity. This is what Islamic clerics do. They absorb non-Muslims into the Islamic way of life. This is what RSS wants to achieve through MRM. Assimilation resembles conversion – or ghar wapsi (reconversion of Muslims), which is preferred by Hindu groups. On the contrary, acculturation means merging of two cultures, thereby giving birth to a new culture in which all groups retain some of their characteristics while losing some others. While pluralism is intrinsic to Indian civilisation, insofar as the RSS conceives of assimilation, it is not pluralism. Its conception of pluralism differs from the one that prevails in democracies. The democratic process in India has now acquired an autonomy of its own. It is possible that MRM will likely follow the path of acculturation – not assimilation as desired by RSS which too might undergo change – as democracy shapes the attitudes of the next generations of Indians.